About a girl who is a windsurfer. One day finds a box – she opens it – there is a bottle in it. When she opens the bottle a genie comes out. He has been locked inside for a thousand years. She is granted 3 wishes. Genie and girl then sail around the world. 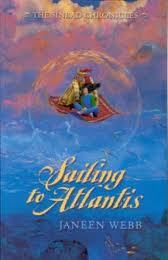 It’s really good because it has a lot of adventure and the genie helps the girl. A boy who doesn’t know anything about his father, he is also deaf in one ear. He thinks this is good as he doesn’t have to listen to the teacher. He is on the phone when there is a thunderstorm – lightning strikes and he becomes deaf in his other ear. In the end he finds out about who his father is. Two stories in book written text is boys story, the pictures tell his grandmothers story. Brian Selznick is a good writer and a good mystery – it’s a real page-turner. I love the Zac Power series. Big brother Liam is very funny – everything is hi-tech. GIB agents have ability to put everyone to sleep. There is lots of action and gadgets. Most of the action takes place underwater. Rated: 4/5 - "I just like it!" A bit like a MI5 – characters go on missions, there’s murder. But it is aimed at young readers (I don’t think under 8’s should read it). James is on a mission to investigate dodgy money scheme. Not a slow book – no boring parts, it’s always interesting. Beyond the deepwoods : bk. 1, The edge chronicles by Paul Stewart – reviewed by Alex W.
The main character Twig has to go though a dark forest, there is a lot of danger on the way. 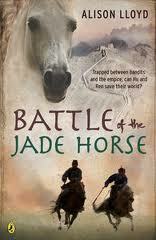 It’s very adventurous – a bit like my other favourite book Deltora Quest! I’ve only read a couple of chapters, but so far it’s really good. Ren & Hu are the main characters and they find a messenger who is seriously injured and then dies. It is intriguing and makes you want to keep reading. There are questions from the first page that you want to know the answer to. Awesome! Rated: 3/5 – "I can’t really rate it yet I guess, but so far I like it."